Three quarters of all wine buyers seek out information on wine quality and suitable sources of supply before buying on the Internet. This is an increasing trend, and together with Wein-Plus you, as a member of Wein-Plus, can benefit from this development. As a recognized serious wine guide for wines from all over Europe, our pages are consulted every day by tens of thousands of wine lovers. Each entry regarding the source of supply is featured prominently in the profile of each producer. This means that readers can see at a glance which merchants have the wines of the desired wine producer available for sale. A sophisticated source of supply management tool will indicate relevant sources of supply sorted by country and customer group. It takes just one click for the customer to go to your online shop! Log into the site with your business access code. 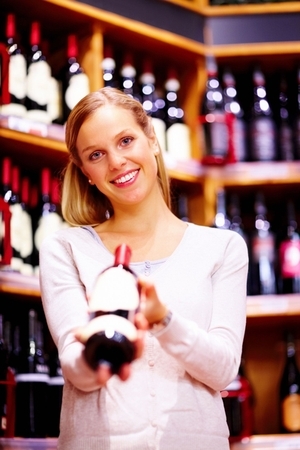 In the Wine Guide, call up the wine producers whose wines you are offering for sale. Click on the link „add source of supply“ and add the name of your shop as well as the direct link to the wines in your shop. Save, and you are ready to go. Repeat this procedure for each wine producer whose wines you have for sale. As a wholesaler, you can also use our source of supply management feature. In the Wei-Plus Wine guide, enter yourself as the source of supply for the wine producers whose wines you offer for sale. What is important for you is that your entry is not visible to consumers, it can only be seen by re-sellers, and is thus a signal for retailers and restaurants that they can source the wines directly from you. What can you do if you cannot find a particular wine producer in the Wine Guide? With a total of 1.355 classified wine producers from all relevant wine-producing regions in Europe, we certainly try our best to show a representative section of all high-quality wine producers in Europe. Nevertheless we are certain there must be some qualitatively leading wine producers we have not yet included in the guide. You can change that, quickly and easily. You as a merchant can send in tasting samples! For members there is no charge involved in sending in the appropriate wines from your range for tasting. We will definitely mention you as a supplier of the wines of this producer. As soon as the wines have been tasted, and the producer complies with the qualitative requirements for a classification, you will benefit from the promotional effect without any additional cost. Let the wine producers send in tasting samples! Naturally you can also encourage the producers of the wines you have in your sales range to submit their wines directly to us. In each case, we require 2 bottles per tasting sample.